Did you know the 1876 Centennial Bell and the 1893 Columbian Liberty Bell both weighed thirteen thousand pounds? Do you know why? 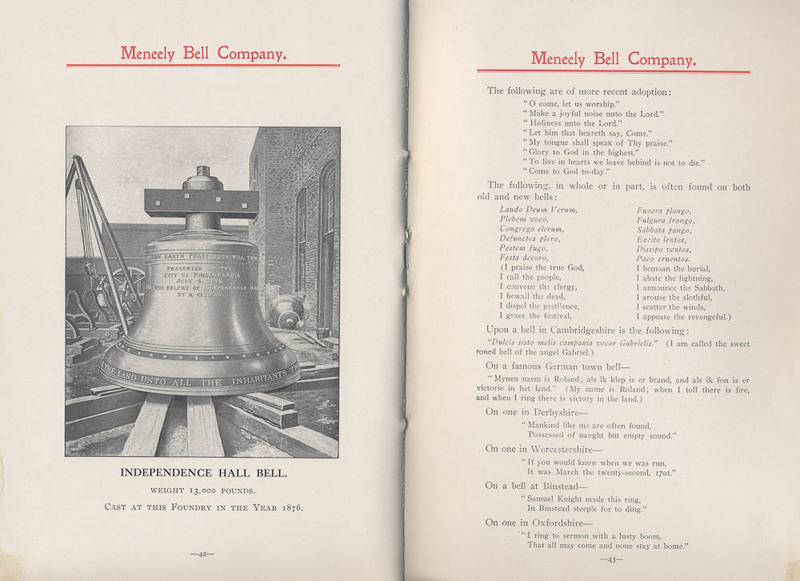 The Trade Literature Collection at the National Museum of American History Library includes a Meneely Bell Co. catalog which answers that question and more. Meneely Bell Co., Troy, NY. Meneely Bell Company, 1906, pages 42-43, The 1876 Centennial Bell ; history of bells. Meneely Bell Co., Troy, NY. 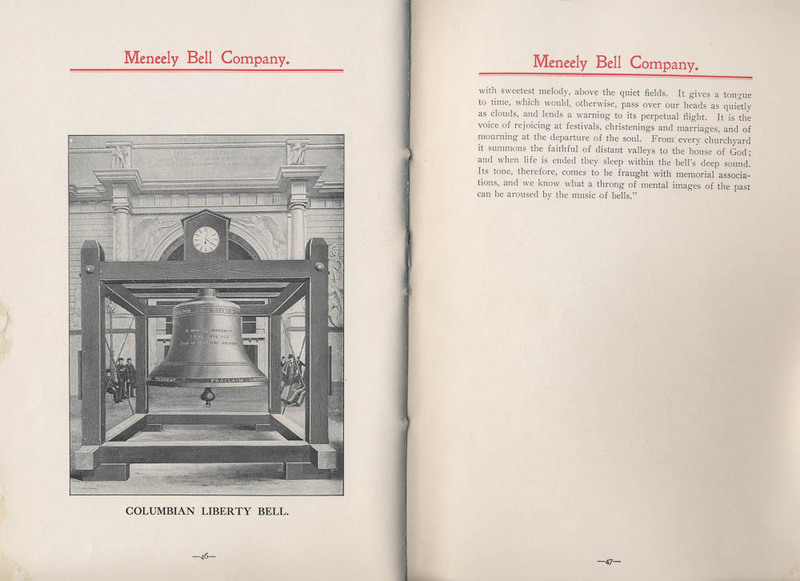 Meneely Bell Company, 1906, pages 46-47, The 1893 Columbian Liberty Bell ; history of bells. Those are just some of the interesting facts found in the second section of this 1906 trade catalog by Meneely Bell Co. The section has a simple title, “Bells,” but goes on to give a brief history of bells from around the world and throughout time. 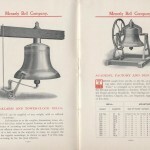 The beginning of the catalog includes descriptions and illustrations of bells manufactured by the company such as bells for churches, ships, courthouses, academies, factories, and farms. 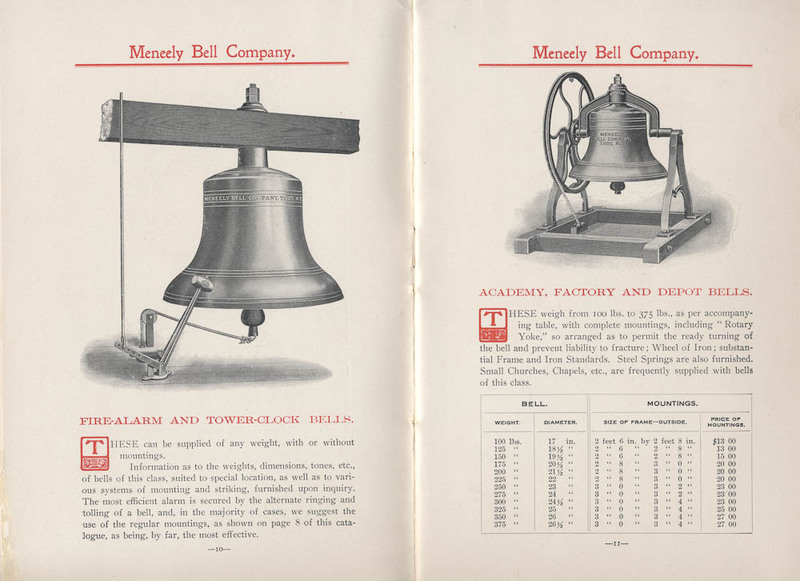 The Meneely Bell Co. also manufactured fire alarm bells. It gives information about the technical side of bells with sections describing rotary yokes, clapper springs, and tolling hammers as well as how to mount a bell in a tower. This catalog and others by Meneely Bell Co. are located in the Trade Literature Collection at the National Museum of American History Library. Take a look at the Galaxy of Images to see more pages of bells from this catalog.